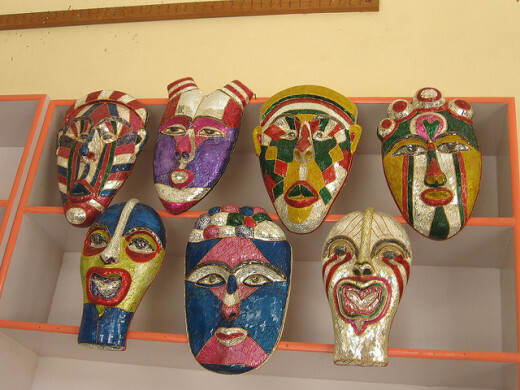 Tourists visiting India are fond of touring the famous Golden Triangle - Delhi, Agra and Jaipur. 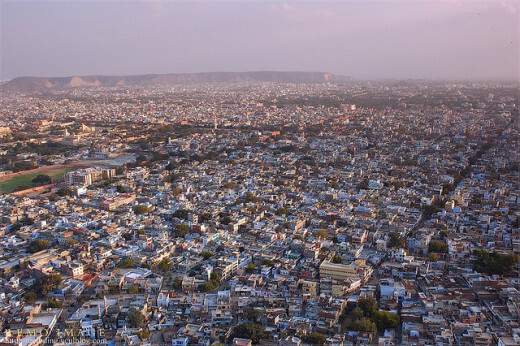 The South end of this almost equilateral triangle is Jaipur, the capital city of mainly a desert state called Rajasthan. Known as 'Pink City', Jaipur has maintained its traditions, culture and heritage for nearly three centuries of its existence. Neither very low temperature during cold winter months nor the scorching heat in the hottest summer months deter tourists to make Jaipur a destination while travelling though Northern India. 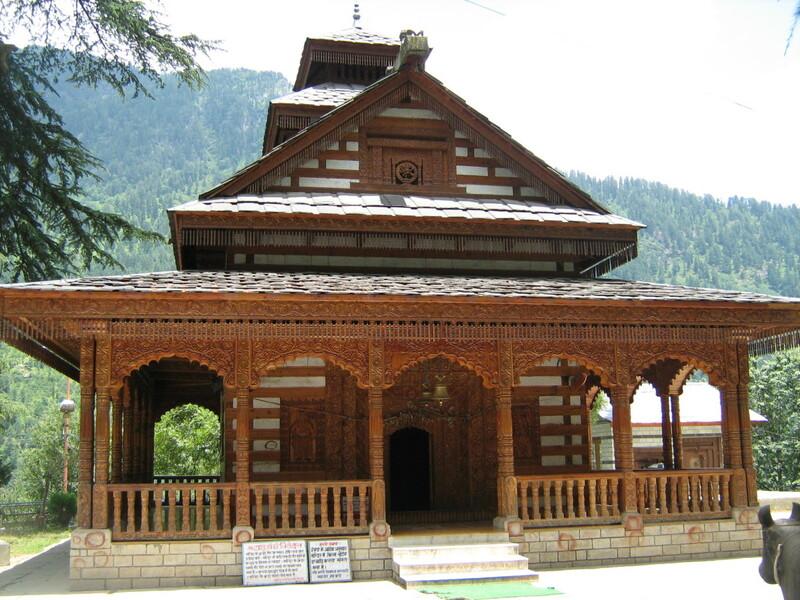 Constructed in 1799 Maharaja Sawai Pratap Singh, the front view of the Palace resembles the headgear of Lord Krishna. 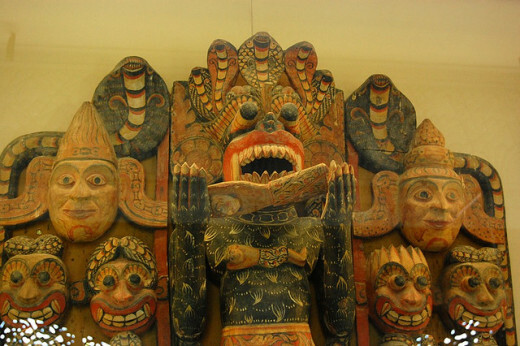 It is believed that the ladies of the Royal Family used to watch the processions and other activities on the street through the stone carved screens, and were thus not observed by others. The exterior of the building is also compared to a honeycomb having 953 small windows. 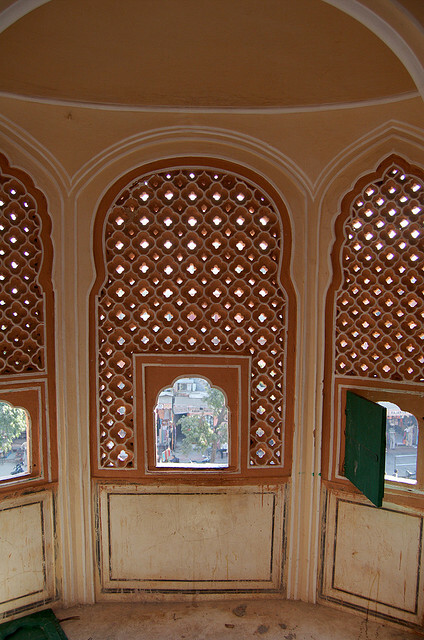 Its design also provides relief in the form of natural breeze needed in the hot climate of Jaipur. 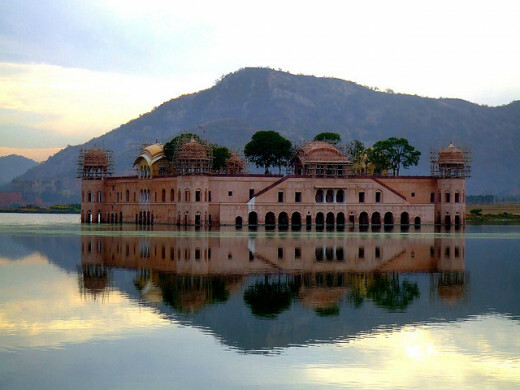 At the outskirt of the Jaipur city, while travelling from Delhi to Jaipur, Jal Mahal is situated in the Man Sagar Lake. The Lake is having a water spread of about 300 acres. When the lake is full of water, four floors of this five storied building remain under water. It is a pleasure to watch it at night as well. 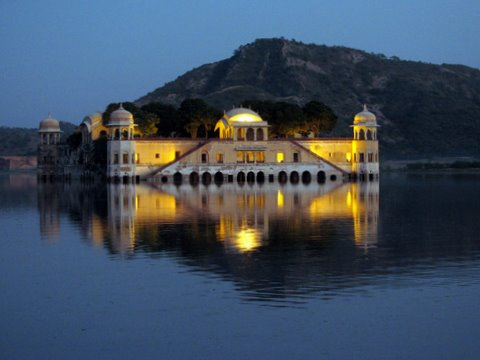 The night view of Jal Mahal (Water Palace) with reflection in the lake water is fantastic. 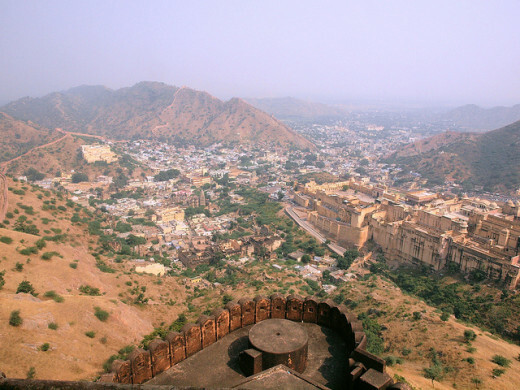 A visit to Jaipur would be incomplete without having a thorough view of the Amber Palace (also called Amer Fort). Just 11 kms away from the City, it is now on the National Highway leading to Delhi. Placed high on the hills the Palace reminds you of the life style of the then Rulers. Attracting over a million tourists every year, Amber Palace with big courtyards at four different levels also reminds you of the grandeur at each of the four entry gates and courtyards, the blend of architectural skills and artistic tastes over three centuries back. Reaching main entrance the tourists are overwhelmed by the precision of the miniature decorations. It is done so thoroughly and with perfection. Some tourists use jeeps on a narrow road leading to the Fort uphill. 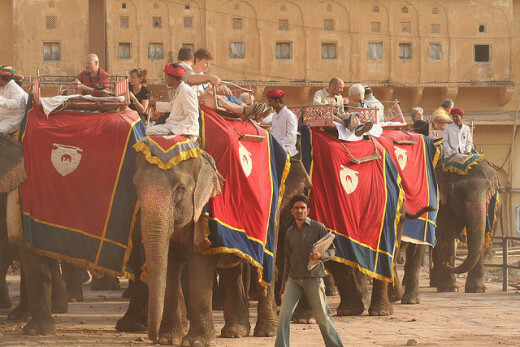 But there are many who use elephants, which not only adds thrill to the visit but also gives them a taste of the type of rides rulers enjoyed three centuries ago. It is good to try historic traditions. 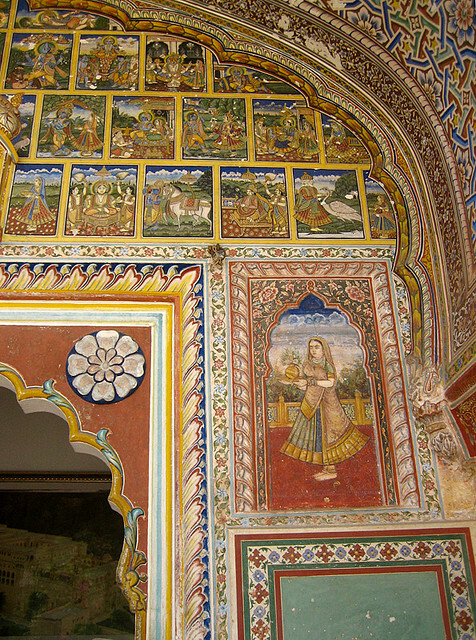 The walls and the roofs of the buildings inside the Fort are tastefully and artistically decorated. 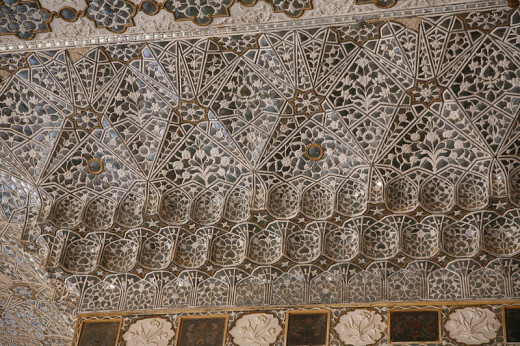 See the mirror decoration on the ceiling of Sheesh Mahal above. These decorations have been very well maintained. These decorations are a reminder to the visitors about how deeply the rulers of that time were involved in providing an artistic look to the buildings they had around. 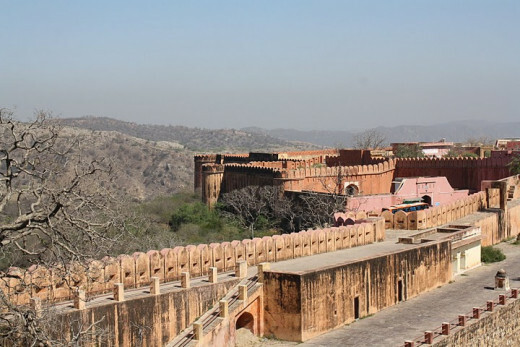 Situated at Hill of Eagles in the Aravalli Hill Range, the Jaigarh Fort was built by Sawai Jai Singh I in 1726. 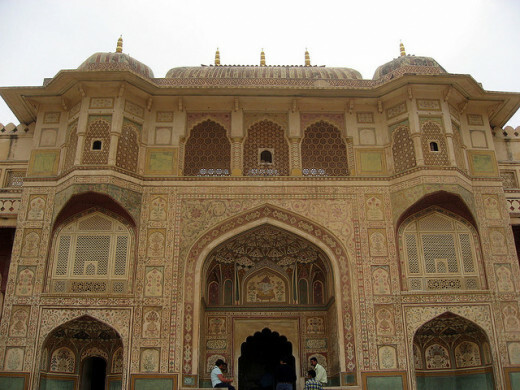 It overlooks the Amber Fort and was built for its protection. This fortified Fort with thick walls covers an area three kms long and one km in breadth. It is connected to the Amber Fort with a tunnel. 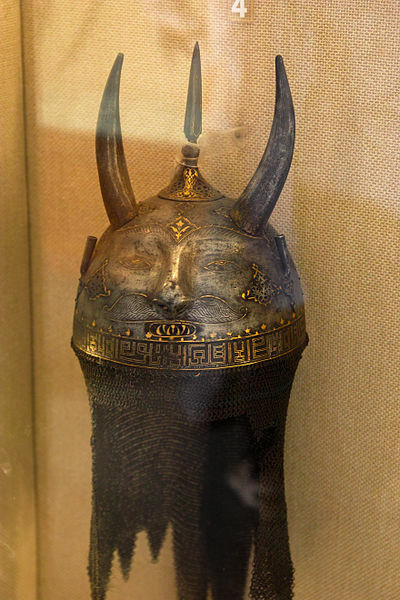 It has armoury displaying swords, shields and guns and has a museum. 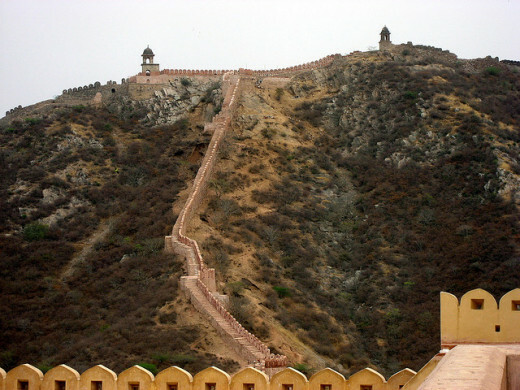 One can enjoy the panoramic view of Jaipur and the Aravalli Hills from the top of this Fort. The Fort has a puppet theater also for the entertainment of the tourists. 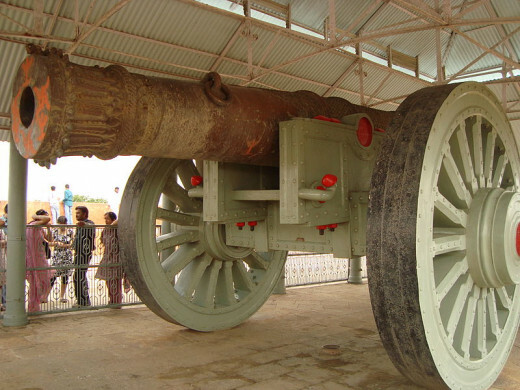 Jaigarh Fort had a Canon Foundry of its own during the reign of Maharaja Jai Singh II (1699-1743). 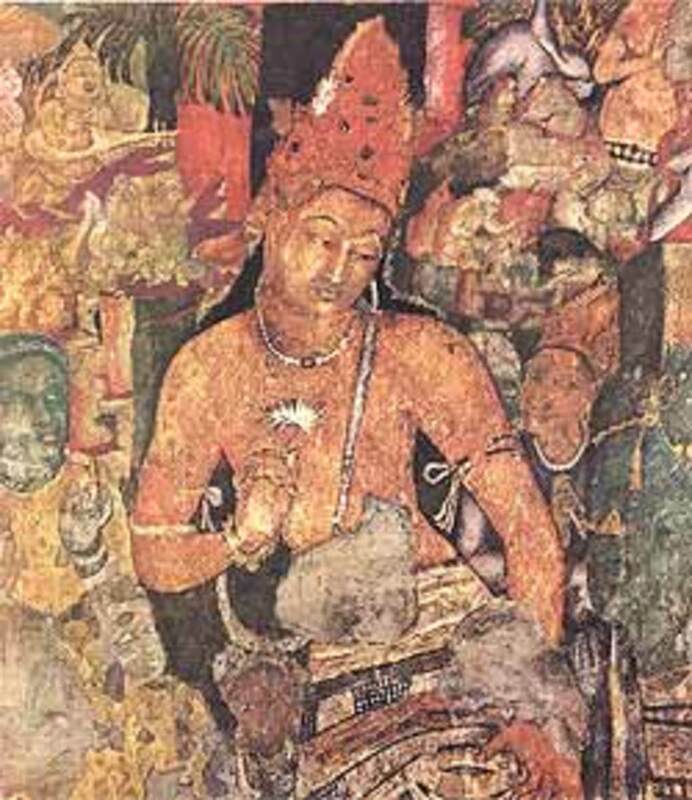 The Jaivan Canon is reputed to be the biggest wheeled canon in the world. Its barrel is 20.19 ft in length and it weighs 50 tonnes. This decorated canon has a diameter of 11 inches and can turn 360 degree to fire in any direction. Imagine the period in which it was manufactured and the skills required with limited technology available at that time. 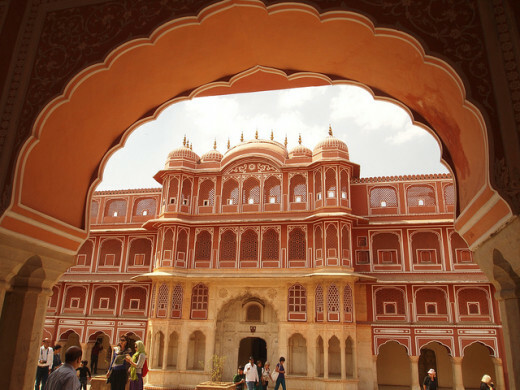 This aristocratic Palace is as old as Jaipur (about three centuries) and had additions from each successive ruler. 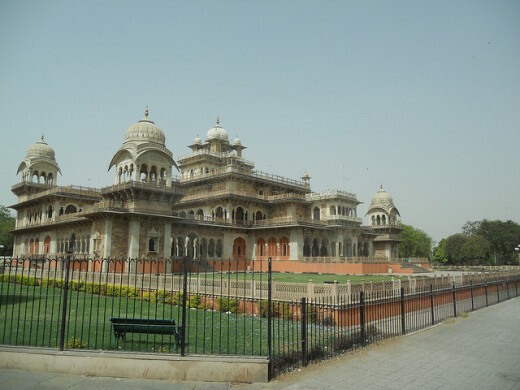 The Palace is a complex having a number of buildings of historical importance, gardens, a museum and a temple. 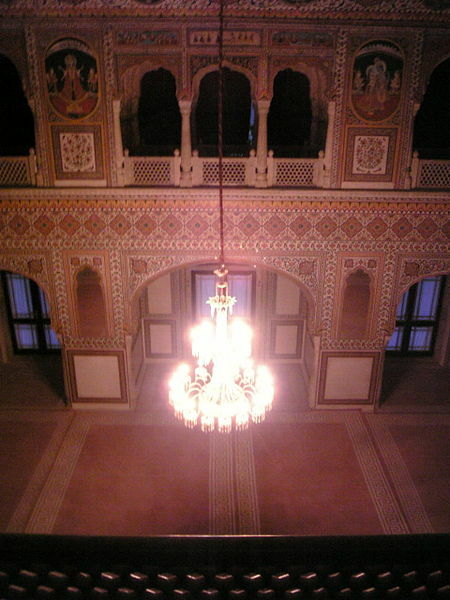 The carvings on the marble, giant pillars and the lattice work are special attractions for the tourists in this Palace. Courtyards of the City Palace look majestic. 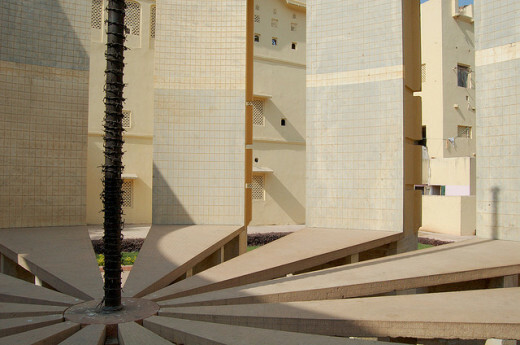 In fact, there is vast array of courtyards which is quite impressive and tourists' attraction. 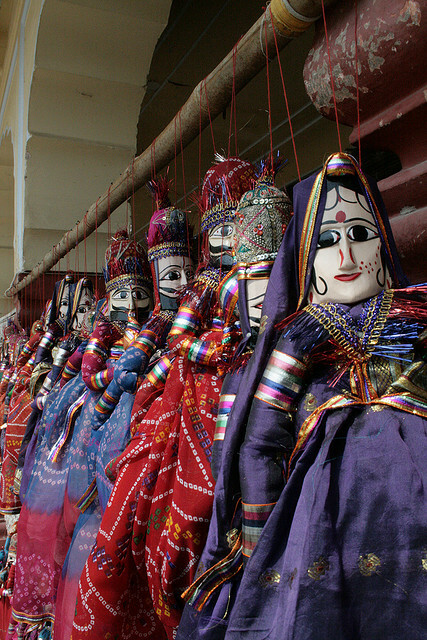 A puppet show is organised for the entertainment of the tourists periodically here also. 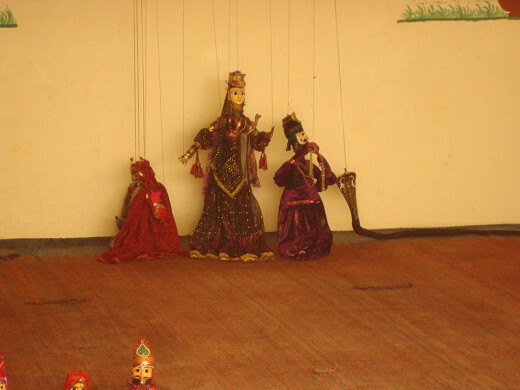 Puppet shows are very popular media of entertainment as well means of educating people on some social issues. 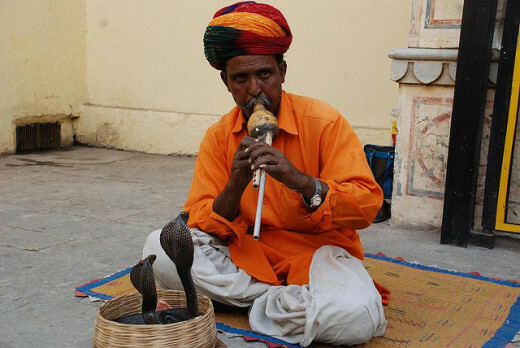 Other sources of entertainment like 'snake charmers' can also be seen. It is fun to see the snakes dancing in these shows. 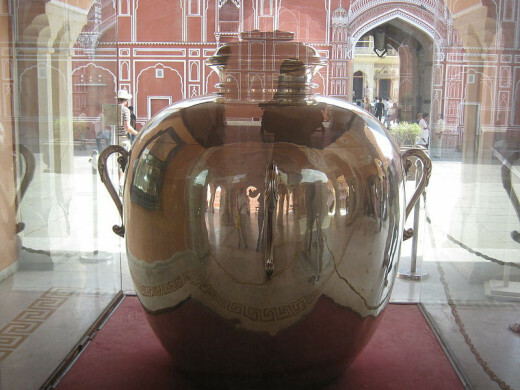 A view of inside of the City Palace with a huge 5.2 high silver urn weighing 340 kgs capable of accommodating 4000 liters of water. The vessel is made from 14000 melted silver coins and holds a unique place being the largest silver vessel in the Guinness Book of World Records . 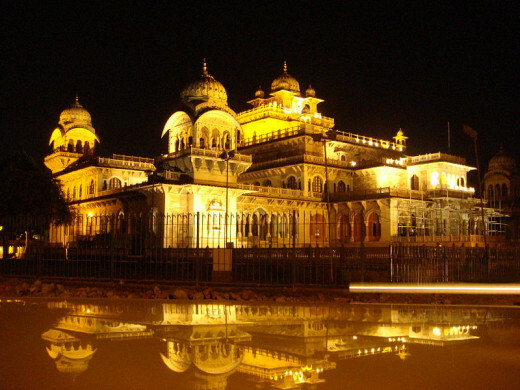 This is a State Museum (Night View) for the state of Rajasthan (Also called Central Museum). Opened in 1887 the Museum has a large collection of paintings, ivory work, sculptures of various kinds and beautifully designed carpets. The night view itself is quite impressive. 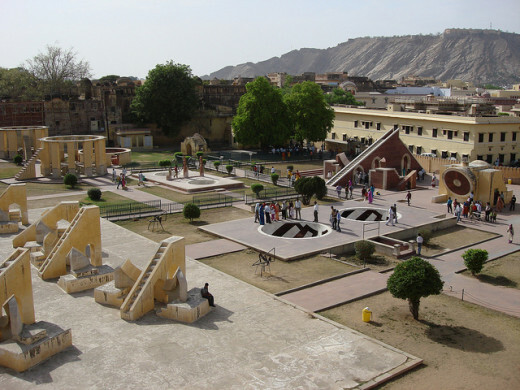 If tourists visiting India are interested to know how people could tell about planets, their movements and astronomical happenings like eclipses about three centuries back, then Jantar Mantar, Jaipur is the best place for them. 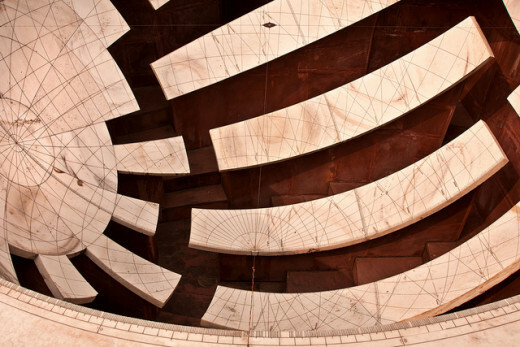 It is an observatory having architectural astronomical instruments which was completed in 1734 Maharaja Jai Singh II and has 14 major geometric instruments to explain astronomy so precisely. 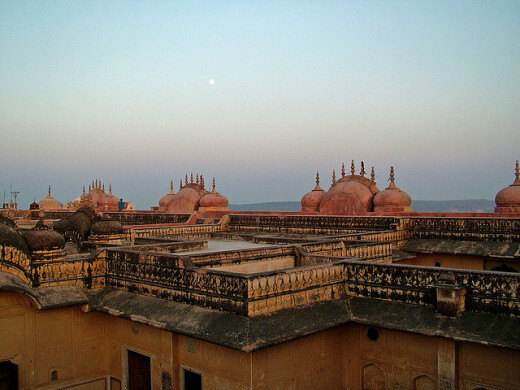 One cannot have a panoramic view of Jaipur better than the top of the Nahargarh Fort. It was a part of the defence ring of the the kingdom and also used to be called the abode of tigers. It is called a haunted place but many people go there to have a majestic sunset view. Also the view of lit up Jaipur is breathtaking and enjoyable at night. 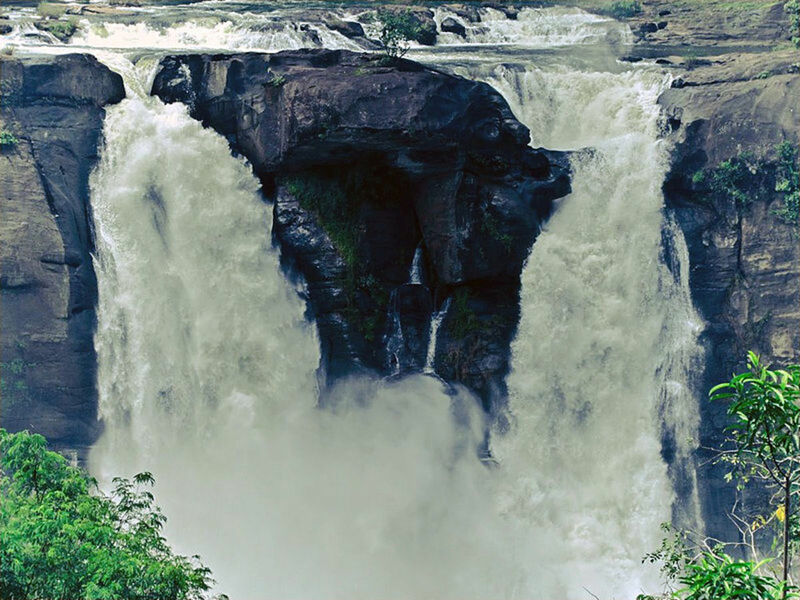 Many enjoy it as a picnic spot. 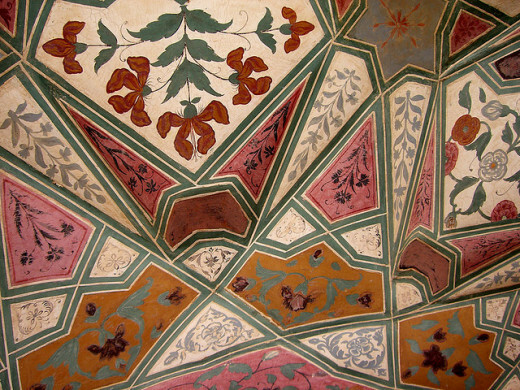 The rooms and corridor of the Fort are full of ancient India art. The game of chess is known to have originated in India and then travelled to other places via Muslim countries. We find different material and sizes of chess figures and even visually challenged people play Chess now-a-days. 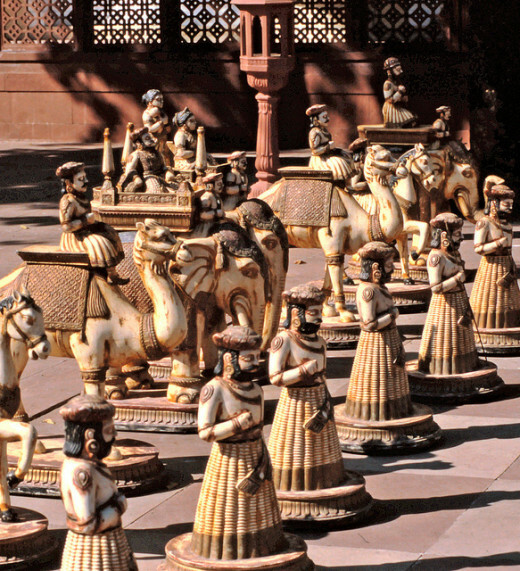 The image shows the type of Chess figures used as seen at Jai Mahal Palace Hotel at Jaipur. 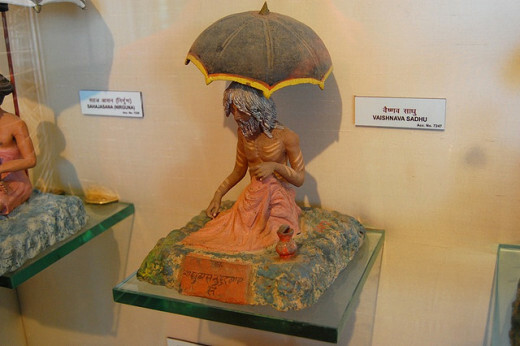 While the contestants normally used to sit at high platforms or high chairs, the servants used to move these figures as per their command. Some tourists want to have the luxury of staying in heritage hotels and Jaipur has quite a few historical structures used for this purpose. 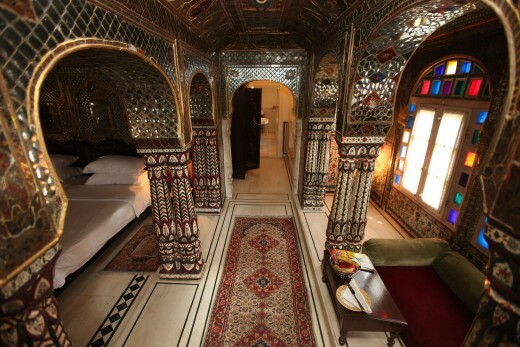 Samode Haveli, which is not for away from the Railway Station, is one such magnificent place with enormous suites. The majestic entrance, dining room with elegant paintings, mirrored suite and other luxuries make one to feel a royal stay here. 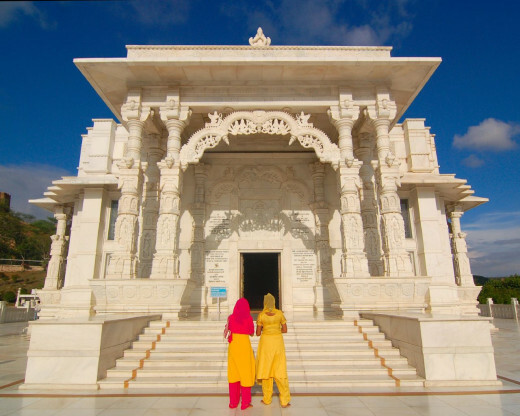 Have you heard about Jaipur? Akriti, thanks for visiting the Hub. I am glad you liked Jaipur. I had been to this city many times and each time I want to learn more about it. Have a nice time. Lovely post. Jaipur is one of my favourite places in India. I also like Udaipur. Rajasthan is such a spectacular state . 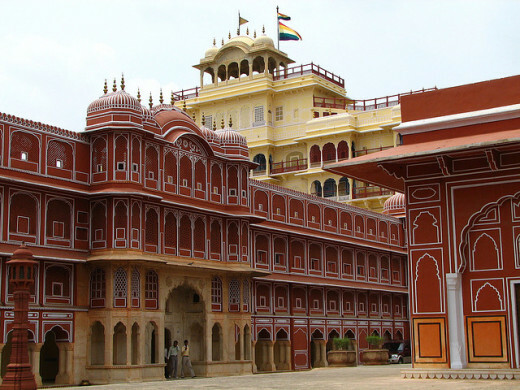 I am also from India, Rajasthan is most famous for royal places, colourful cities, lots of fairs & carnivals & forts. If any one come in India Travel please plan tour to Rajasthan. Anne Harrison, Thanks for stopping by. 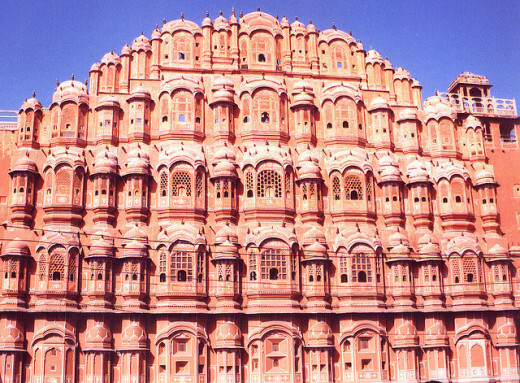 It is a matter of satisfaction that you intend to visit India and have Jaipur on your itinerary. Thanks for the support to my Hub and wish you all the best for your tour. Mel Carriere, thanks for visiting the Hub. I am glad you have placed it in historical perspective. Have a nice time! 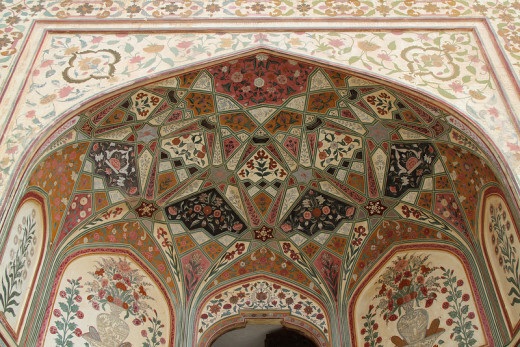 Elias Zanetti, Jaipur certainly is a great place and you will appreciate the grandeur of these sights. I am sure you might be tempted to visit it one day. Have a nice day! Wonderful pictures and a great hub! 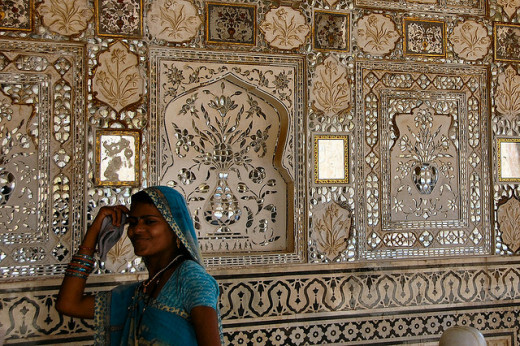 Jaipur seems as a pvery interesting place to visit with beautiful sights. Fascinating travelogue. It looks like there are some beautiful places with historical value. Great hub! kufarooq, thanks for visiting the Hub. 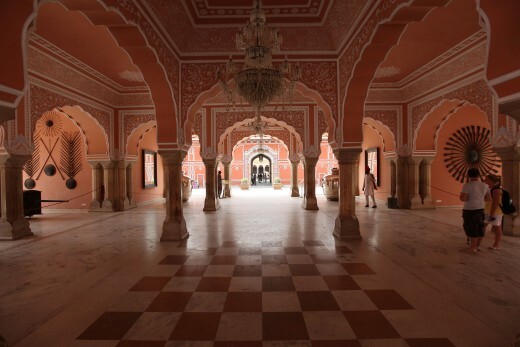 It seems you like historical places and Jaipur certainly is one such place. Have a nice day! 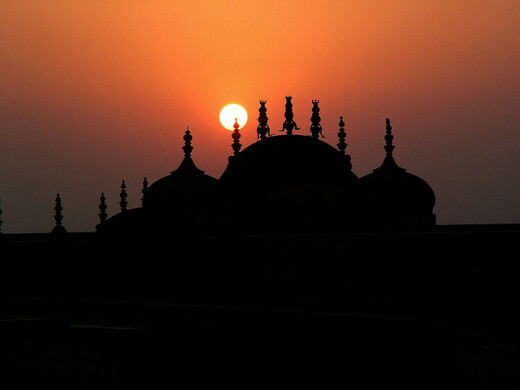 sunilkunnoth2012, I am sure you will not regret visit to Jaipur. 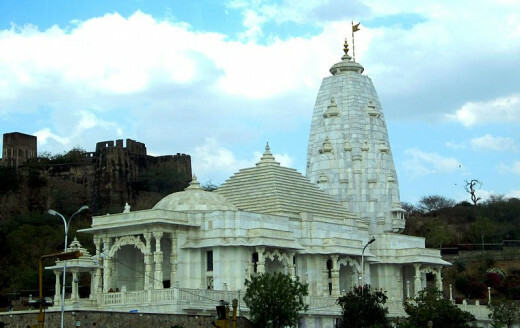 I find it different than many other tourist places, specially the people of Rajasthan. Thanks for liking and voting up. Thanks for visiting, VKP. You are welcome. Wonderful hub with excellent photos. You have done a good job. Sure, Rajastan is the most wonderful land in India and attracts the most number of domestic as well as international tourists. Though I have covered 16 states in India so far, I couldn't visit Rajastan till date. This is tempting place and no traveler can miss the place as it offers such wonderful scenery. I hope to visit the state soon. Thank you for sharing. Excellent work. Voted up.